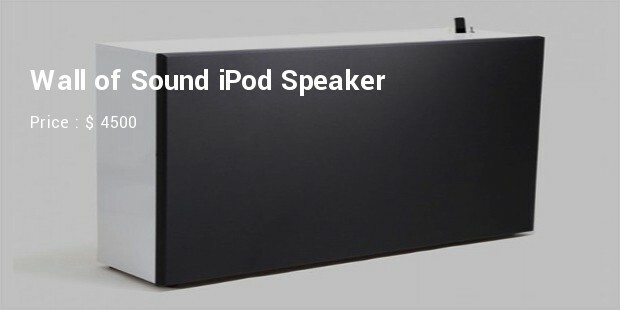 With an iPod dock for your iPhone or iPod, it becomes a great compliment as an accessory. Serving as the best friend for your player, it could also act as the charger of your battery. Umpteen models are available in the market. You could synchronize your device with the help of the dock with your computer. 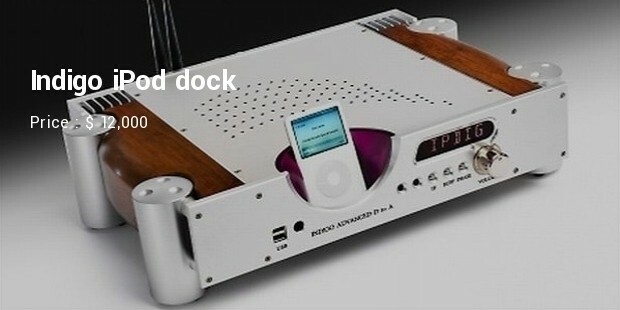 Another great feature is that the docks could combine your iPod and iPhone with the audio and video systems at your home. The market is flooded with several models equipped with a wide range of utilities to fulfil your various needs. Your eyes might pop up in disbelief as you hear its price. It is one is the most expensive with unusual features. Designed by Jean Michel Barre, this has the best compatibility with the latest in the generation of Apple iPhone and iPod. With an impressive height of 3.4 meters and weight around 395 kgs, the dock gives only the best in the range of quality audio systems. 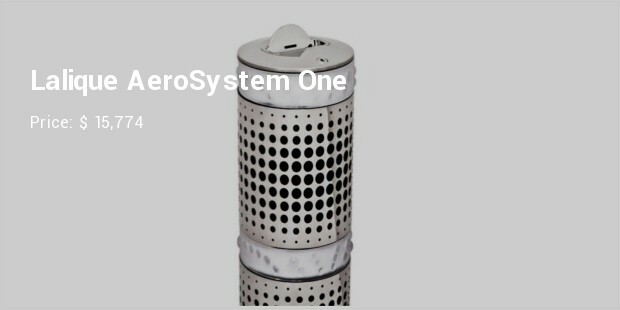 Designed by Jarre Technologies, it has so far kept its unbeatable position in the market. 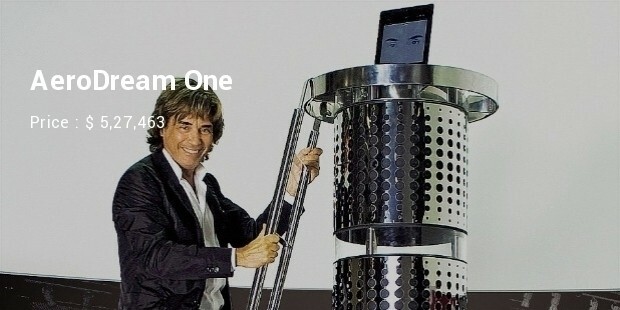 This device is a craze among the top musical performers. Manufactured by the German based Behringer, this model ranks among the top-end products in the audio segment. 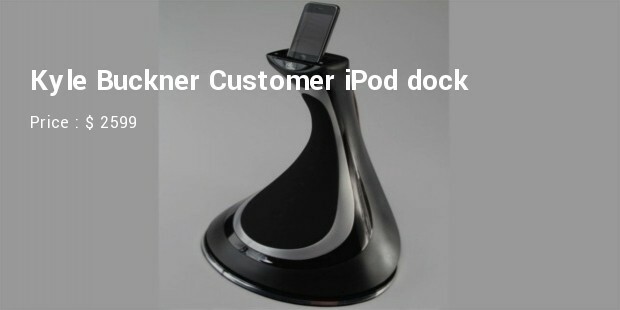 iNuke Boom is by far one of the most expensive models of iPod dock in the market. With a height around four feet and eight feet width, this could literally take you off your feet with its superb performance. Besides, this has the ability to accommodate devices like Apple iPhone and Apple iPad. 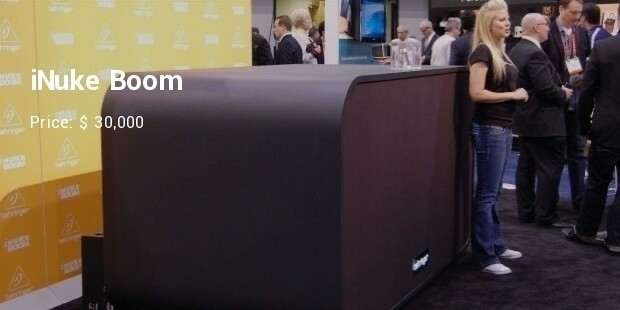 This could become a great help for the top musicians and enthusiasts of music system. This is the brain-child of inventor Jean Michel Barre, known for his genius to design the costliest in the range of iPod docks. he has done this in association with famous design house Lalique. 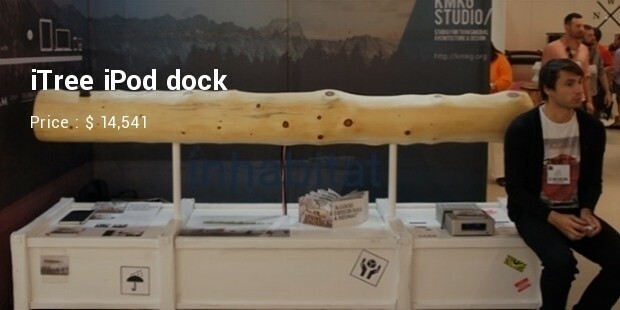 Measuring around 3.35 meters in height, this boasts being compatible with iPod, iPod touch, and the iPhone with 30 pin connector. This could serve as an ideal model for music lovers.